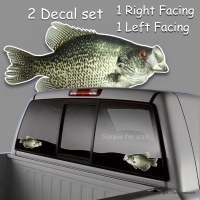 High quality vinyl fish decals, full color and one color plotter cut decals. 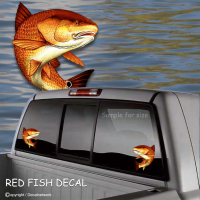 Our fish decals are made from long lasting outdoor rated vinyl materials. Install on vehicle windows, body panels, tailgates, campers, boats. These will stick on any clean smooth surface and can be used indoor. We will be adding more designs. 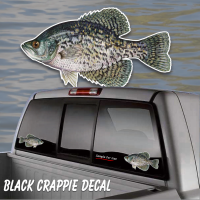 Easy order our stock sizes or we can make larger decals and add text or include into your logo.